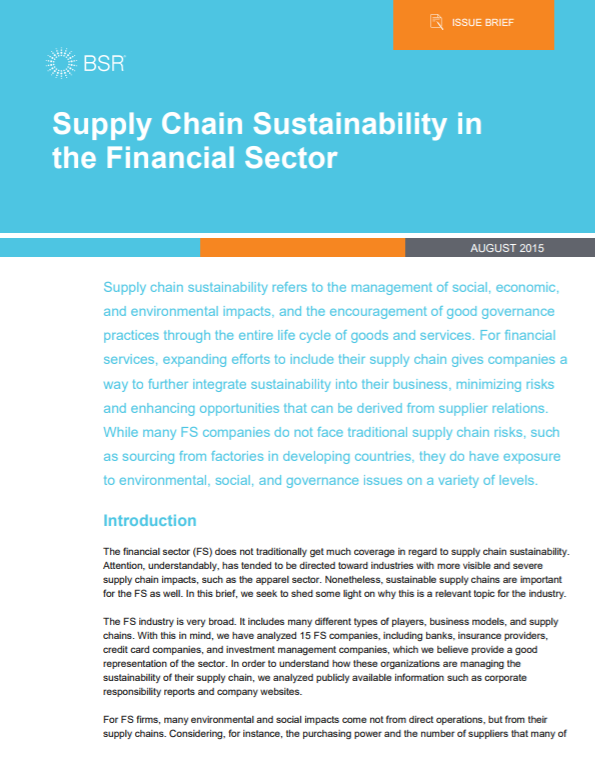 string(1106) "Resource Centre > Uncategorized > Supply Chain Sustainability in the Financial Sector"
The financial sector does not traditionally get much coverage in regard to supply chain sustainability. Attention, understandably, has tended to be directed toward industries with more visible and severe supply chain impacts, such as the apparel sector. However, the financial sector is at high-risk for human trafficking, labour exploitation, forced labour and modern slavery as well. This report seeks to shed some light on how the financial sector is involved in the issue. This Annual Report focuses on the steps the UK Government, the Scottish Government and the Northern Ireland Executive have taken in 2018 to combat modern slavery, including human trafficking.